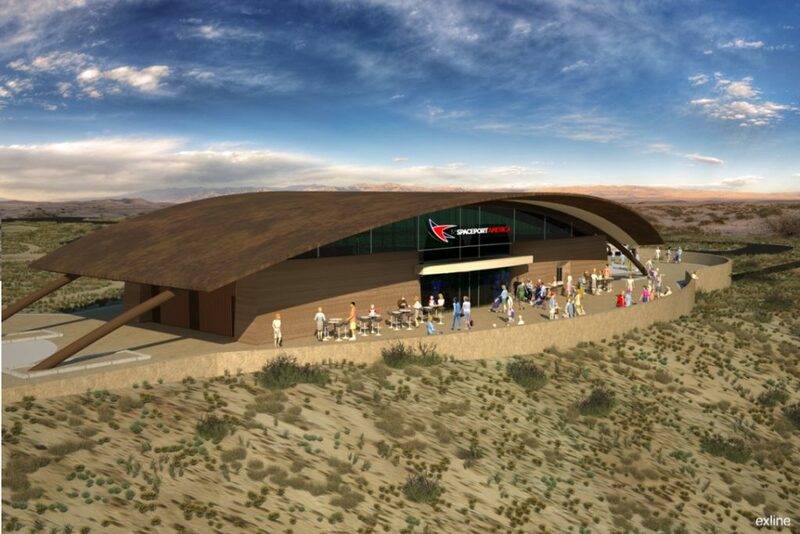 Perhaps one of the near-future's ultimate thrills, Virgin Galactic continues to develop the technology needed to take paying guests into sub-orbital space! 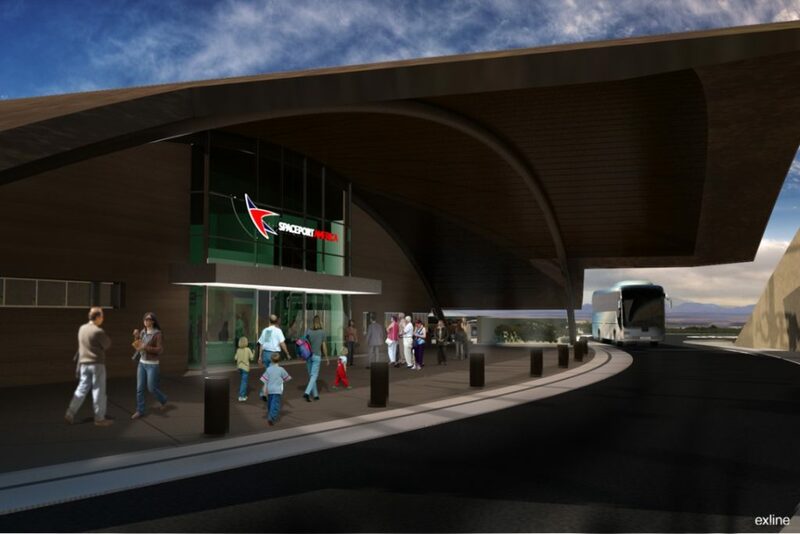 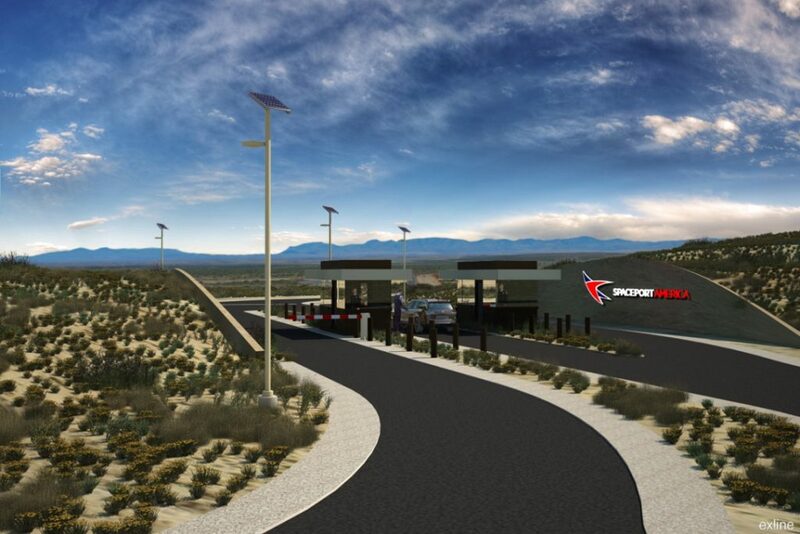 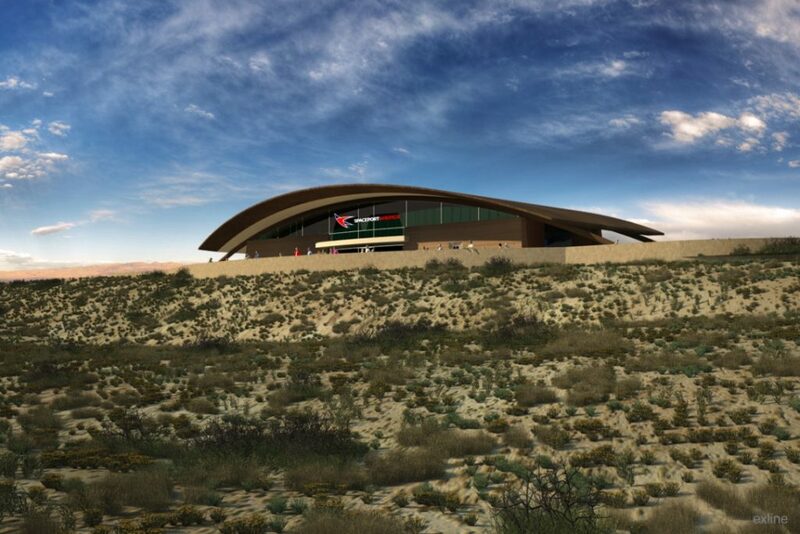 Spaceport America, located just north of Las Cruces, New Mexico, is the future home of Virgin's exclusive departure point. 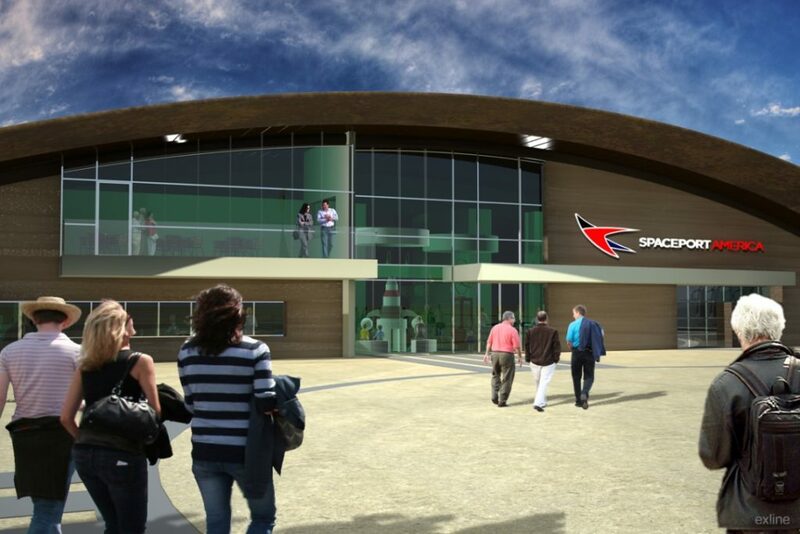 Working closely with Team IDEAS Orlando and exhibit designers My Design, Inc., Exline Design & Architecture spearheaded the architectural planning and design of the Spaceport America Visitor Experience facility package. 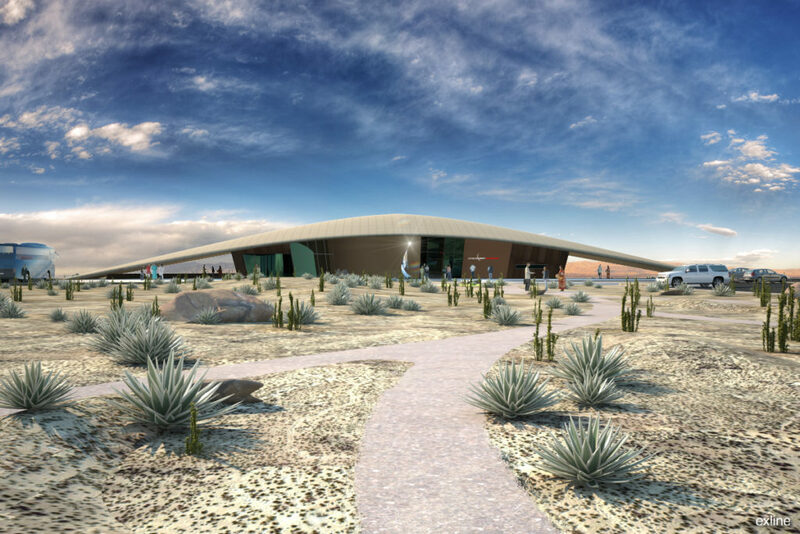 The guest experience concept included two separate building locations... the first a Welcome Center to be sited in Truth or Consequences, NM, and the second known as "Spaceport Central”, to be located on-site immediately adjacent to the well-known terminal hangar facility, as designed by Norman Foster & Partners in London, UK. 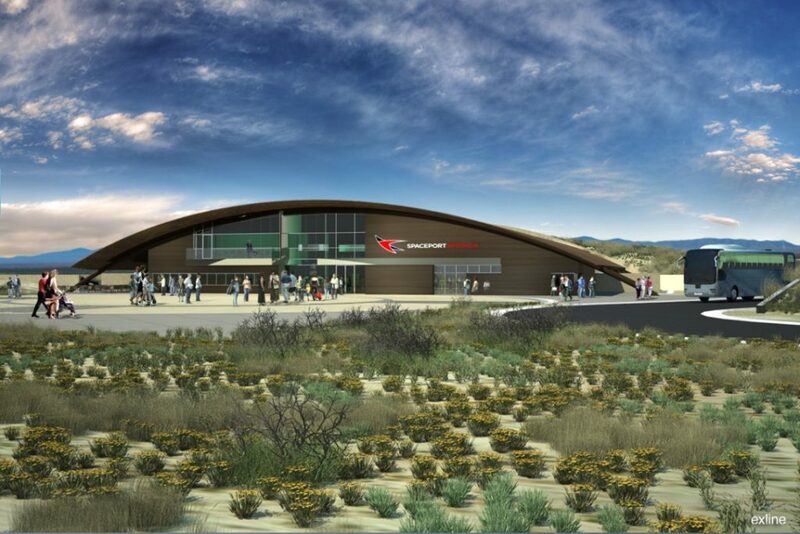 The Spaceport America Visitor Experience project was conceived for visiting tourists and lay-persons who wanted to learn more about what is happening at Spaceport America... these facilities were not designed to accommodate Virgin Galactic's paying passengers. 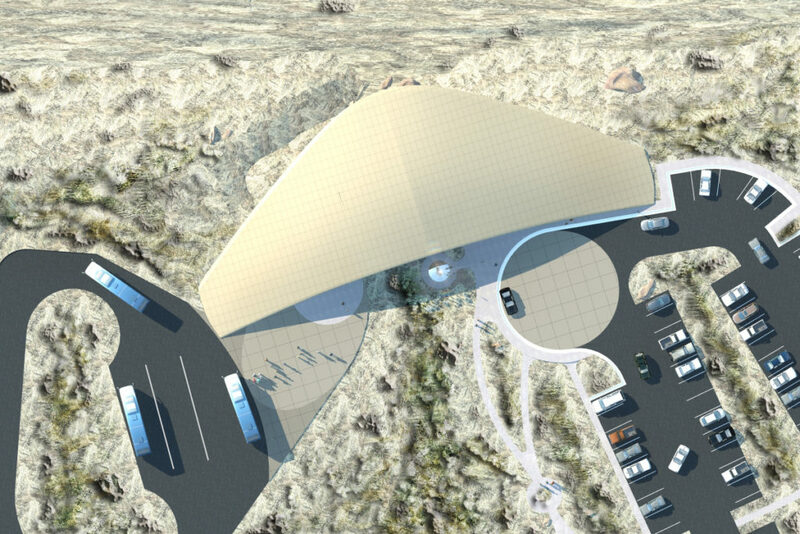 Architecturally, the visitor experience buildings were envisioned to maintain a low visual profile, to not take away from the site’s pristine desert environs. 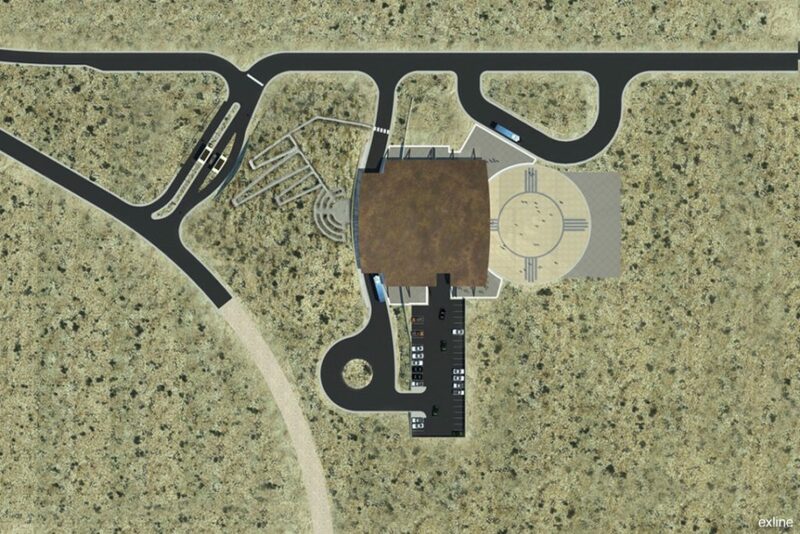 Sited very near the historic El Camino Real, large earth berms were conceived to obscure views from the legendary desert trail that connected Mexico City to Santa Fe. 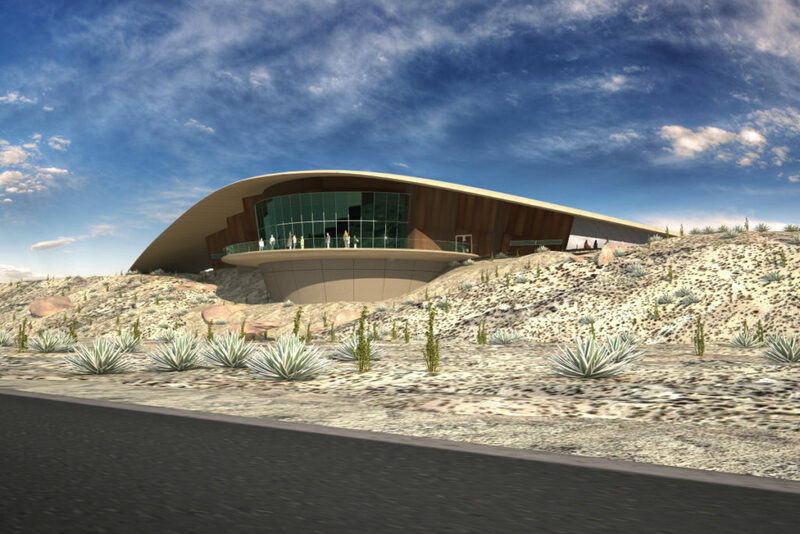 Roof forms of low arcing curves finished in desert earth tones, borrowed aesthetically from the Foster & Partner’s terminal hangar facility. 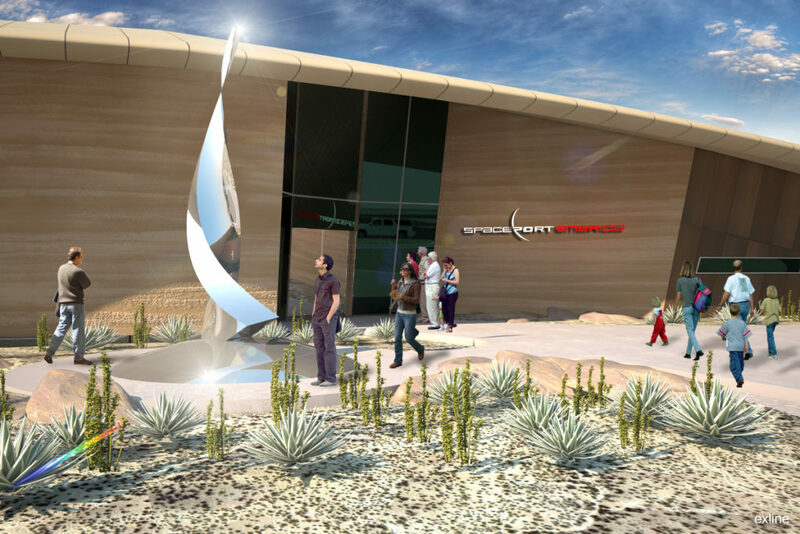 Spaceport Central housed numerous interactive exhibits, a berm-top observation point, and a dispatch center for guided site tours. 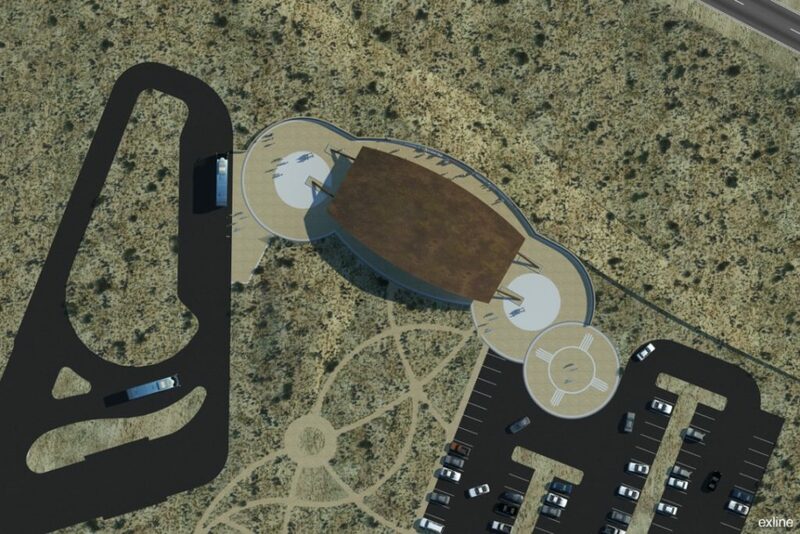 A high definition special effects theater and a themed cafe were all slated to be a part of the guest experience visitor package. 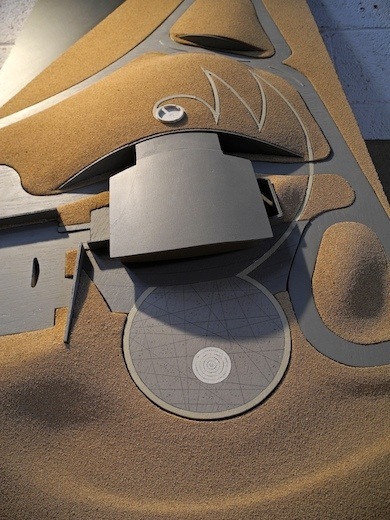 Facility Design Architect: Mr. David Exline, Exline Design & Architecture; Executive Producer: Mr. Bob Allen, IDEAS Orlando; Show Design: Mr. Michael Yager & Mark Mazzanti, My Design, Inc.; Project Management: Mr. 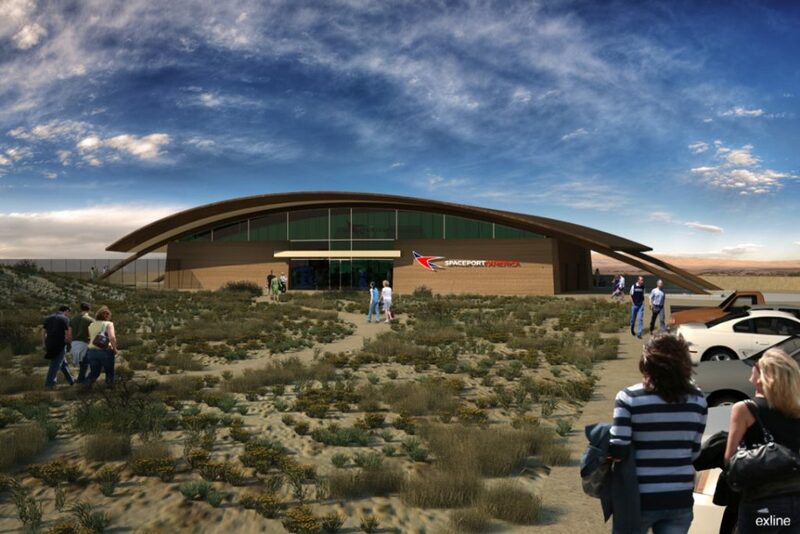 Skip Palmer, Blackhorse Worldwide; Local Architect of Record: Mr. David Hassard, SMPC Architects; Client: Ms. Christine Anderson & Mr. Aaron Prescott, New Mexico Spaceport Authority (NMSA).